The head of Russia’s Federation Council has said that the so called Magnitsky Bill would cause a rift in the Russia-US relations that could damage the whole world. 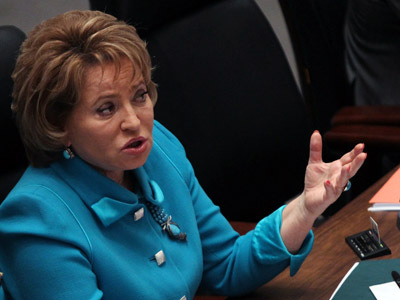 Valentina Matviyenko blasted the Magnitsky Bill as a “barbaric” move and an open interference with another nation’s affairs and warned of retaliation from Russia. “No state that has self respect can swallow such an unfriendly gesture. 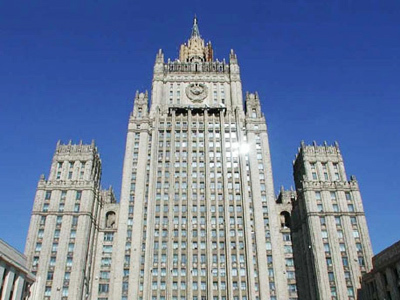 The Foreign Ministry has a large arsenal of ideas and options that can answer such a step,” the top parliamentarian told the RIA Novosti news agency. She also said that “Russia is not going to turn the other cheek” after such a step. She added that the bill had no real foundation, but a hidden interest of certain forces. “It is obvious that the forces that are interested in adopting the bill are the forces that oppose the arrangement of constructive cooperation between Russia and the USA, and there are such forces in the USA,” the politician said, adding that the USA were interested in positive cooperation not less with Russia. “Russia and the US are serious players on the international politics and economics and the situation in the world as a whole depends on our normal relations,” Matviyenko told the agency. The Magnitsky Bill, was approved by the Foreign Relations Committee earlier this week, would impose visa bans and asset freezes on Russians the US accuses of human rights violations. 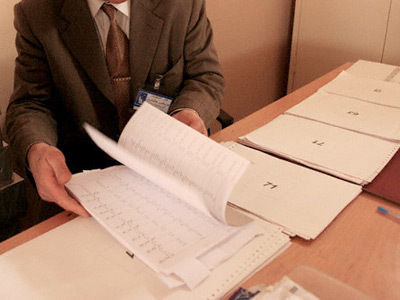 Specifically it targets those linked to the death of the Hermitage Capital lawyer Sergey Magnitsky, who died following mistreatment in custody in 2009. 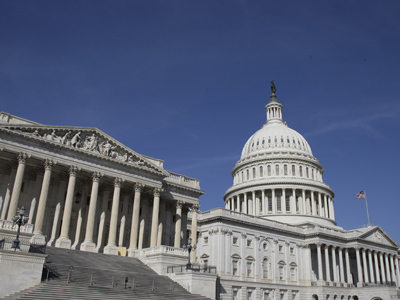 The act has yet to be voted on in the full House and signed by President Barack Obama. The Russian Foreign Ministry has blasted the move as an attempt to pressure justice and interference in another state’s internal affairs. The ministry also warned of dire consequences if the bill comes into force. "They have an opportunity to weigh the consequences, so we urge our U.S. partners and U.S. lawmakers to do just that," Deputy Foreign Minister Sergei Ryabkov said. The official added it was "too early" to describe what action Russia will take in response. Russia has already introduced its own entry ban on a group of US officials suspected of human rights violations as response to the first adoption of the Magnitsky Bill in 2011.